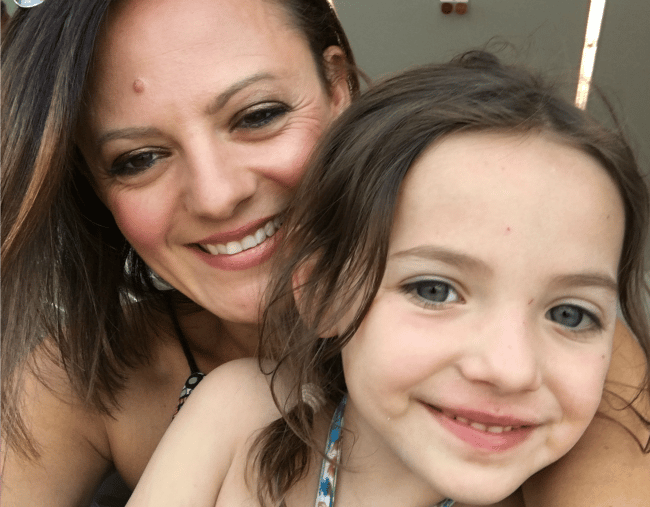 Life after postnatal depression: Mum says PND helped her find a purpose. It’s all I wanted, yet she was gone forever. I felt so sad for my baby that I gave her more of me than I could spare, to the detriment of my relationship, my work, and even myself. The hole was too big and I couldn’t fill it. There were good days of course; and they were enough to give me hope that this could be everything I had dreamed if I just kept trying, kept giving. I couldn’t escape the persistent wish that I could belong again to someone who was there for me as I navigated this new life. "I felt so sad for my baby that I gave her more of me than I could spare." Image: Supplied. I tried to replace mum with neighbours or anyone who would show me the slightest affection. I would walk down the local main street five or six times a day hoping someone would stop and admire my baby just so I could talk to them; so I could connect and maybe be heard or seen or loved. I’d walk into shops and not want to leave. I was exhausted trying to make it something it wasn’t and my fear of admission broke one day as I yelled at my husband after months of unrest. "It’s almost unbearable the guilt and shame I felt thinking this way…feeling so empty." Image: Supplied. Looking back now I feel so much compassion for myself. I want to hold myself and say, ‘It’s ok, you did what you could and you were amazing.’ I want to cry for the pain I felt and the shame I still carry with me. The ‘postnatal depression’ label is not a fair one. It’s not something I had like a bad cold. My life at that time shouldn’t be explained by a simple diagnosis that trivialises my pain and makes me wear it. This was my life; my family, my husband of 10 years, and it all collapsed around me like dominos. It wasn’t during that time that I realised this pain would become my work. It was looking back and realising that when Faith was born I was happy; I almost burst with love as I watch her sleep or smile at me. My postnatal depression (PND) wasn’t the result of hormonal imbalance. Or from losing my mum. Or my husband drifting away from me. It wasn’t the loneliness and isolation. It wasn’t the lack of identity after leaving my work and colleagues. It wasn’t even the monotonous days of washing, feeding, settling, and playing with Faith. It wasn’t any one of these things. I was a strong, intelligent, capable woman in my mid-30s. I had faced loss, trauma, illness, all the things life had thrown at me and survived. I was brave and resilient as hell. It was all of it, at once. It was the profound mismatch between expectation and reality. I was a new mum with no support, geographically and situationally isolated, hormones changing, relationship struggling, with the extraordinary pressure I had placed on myself to be perfect, for my daughter to behave perfectly; be the good baby everyone wanted her to be. This rite of passage would shape me in ways I never saw coming. I didn’t realise at the time how pivotal losing my mum would be; how it would change everything. My research now and in the future is dedicated to helping women face the huge demands they bear with confidence, knowledge and a sense of empowerment. It is to challenge our norms and fight for a voice. "I didn’t realise at the time how pivotal losing my mum would be." Image: Supplied. I am dedicated to helping new mums, despite their hurdles, find ‘happy’. In every tragedy there may be a gift and this life I have created which once felt so empty, is inspired by the heavy cloud I carried and the subsequent desire to support all mums who may need a little sunshine. I have been afforded unfathomable support by Westpac: my scholarship, the professional and alumni networks, their unreserved faith and resources to support me to make a difference for women in Australia. While I can’t remember the exact moment I chose this as my work, I’m often reminded about how important it is. Like the day I stood in the customs line, exhausted from a 20-hour flight. Behind me stood a mum with three huge bags and a runaway two-year-old. She looked tired as I stood and watched her demand the little escapee return who swept under the dividing ropes and between people, evading both her mother and the guards assisting. People shook their heads and the mum stood, looking broken, and my heart sunk for her. Embarrassed, she lowered her head to hide tears of defeat. I left my bag and moved to her side, gently placing my hand on her arm. "People shook their heads and the mum stood, looking broken, and my heart sunk for her." Image: Supplied. ‘That was a tough flight hey’, I whispered. ‘You’re really amazing you know.’ She cried and as I hugged her and then looked up, trying to find her little girl. ‘Hang in there, she won’t leave without you.’ We shared a moment of understanding and I returned to my bags. Today I sit here with my second daughter, four months old. I&apos;m cool as a cucumber. I&apos;m a different person and can credit experience for such a change. I’m still a high achiever and perfectionist. Still emotional and sentimental, and sure as hell still missing my mum. And I sit here with a determination to change the way we handle parenting, and the experiences we face with it. I sit knowing that it’s not women who are at fault; we live in a culture which demands more of us than our fair share whilst separating us from each other in uncountable ways. The task is great. PND is not a simple diagnosis nor is it a simple fix; it’s as individual and multifaceted as the mums who are affected. And each one of those mums deserves a voice, and someone willing to hear it. 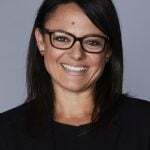 Tiffany De Sousa Machado is a PhD/Master of Psychology (Health) Candidate in the School of Psychology, Faculty of Health and Medical Science at the University of Adelaide and a 2017 Westpac Future Leaders scholarship recipient.